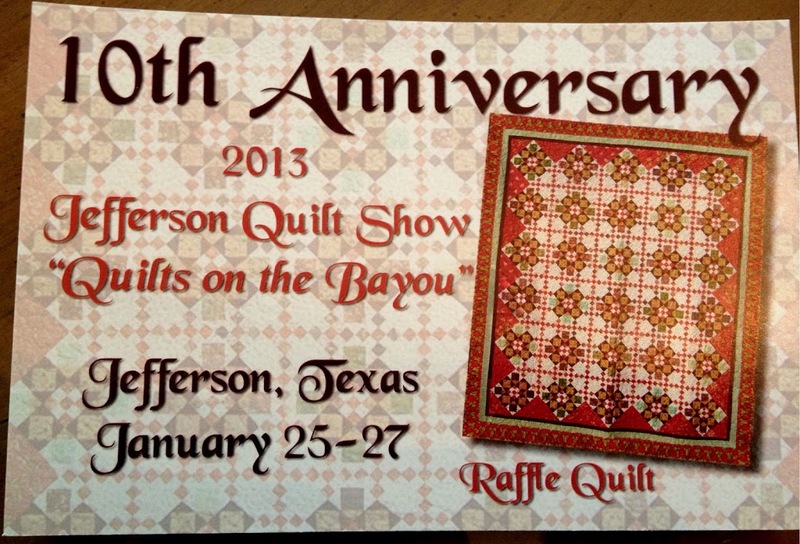 The 10th annual “Quilts on the Bayou” Jefferson Quilt show is always a crowd pleaser. Downtown at the Jeffersonian Institute building the doors open on Friday and Saturday from 9am to 5pm and Sunday 10am to 3pm. There are going to be all kinds of door prizes, demonstrations, lectures, workshops, the merchant mall vendors, special exhibits and the gorgeous Quiltville “Double Delight” quilt raffle made by Janis Mayfield. Don’t forget to purchase tickets for that quilt, it’s stunning. Admission is $5 for adults and $4 for children age 6-12 or get the 3 day show passes at a great deal of $9 each. Last year I wandered through some very beautiful quilts and watched quite a few demonstrations on the newest quilting equipment on the market. I was delighted to see that quilting is still so much alive and well and growing in our area. As a quilter myself I even picked up a few time saving items to use for my quilting. 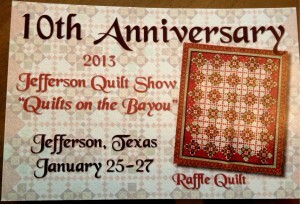 For a complete list of times for the workshops, demonstrations and lectures please visit the Jefferson Quilt Show site. This entry was posted in Quilt Show by Tammy D. Bookmark the permalink.